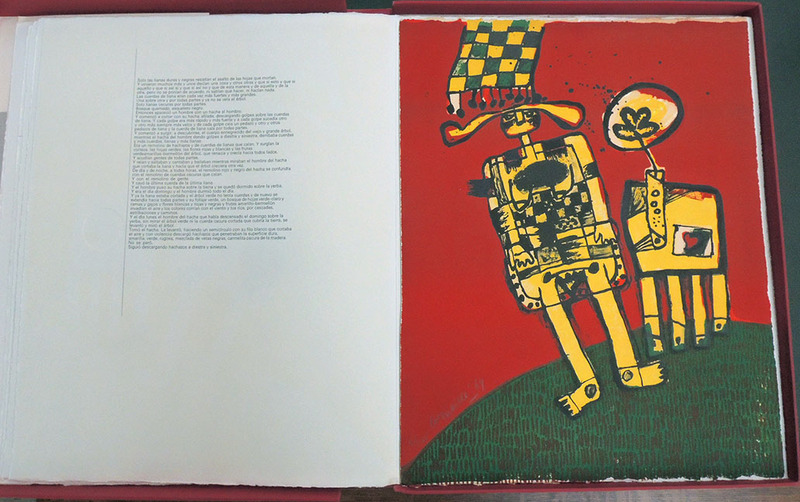 The Graphic Arts Collection recently acquired a portfolio with poetry by Carlos Franqui and fifteen color lithographs on wove paper signed in pencil by the author in an edition of 125. The title, The Stone Circle, is a reference both to the lithographic process and to the circle of artists while in exile. 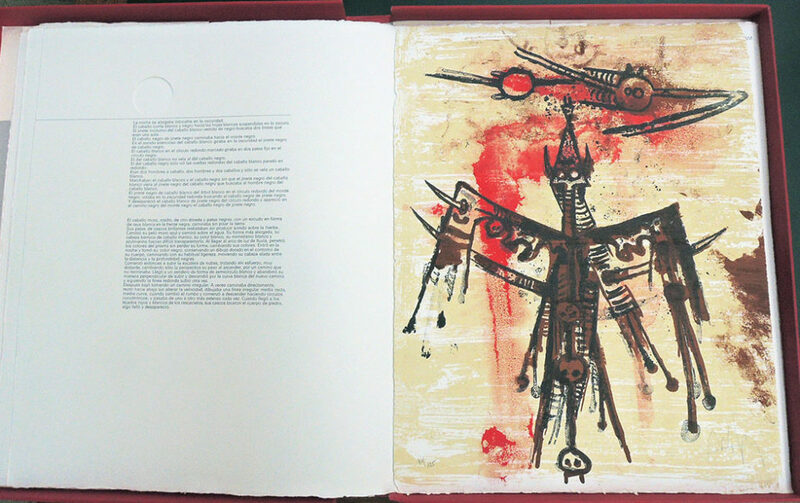 Contributing artists include Valerio Adami, Alexander Calder, Jorge Camacho, Augustin Cárdenas, César Baldaccini, Corneille, Gudmundur Erró, Asger Jorn, Piotr Kowalski, Wifredo Lam, Joan Miró, Edouard Pignon, Paul Rebeyrolle, Antoni Tápies, and Emilio Vedova. 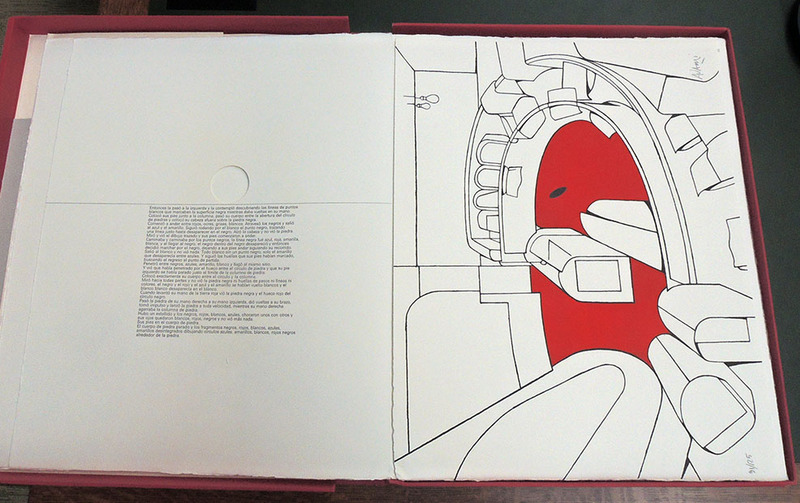 The portfolio also contains a recording on vinyl of Y Etonces Comprendio by Luigi Nono. ‘The Círculo de piedra’ adventure was born thanks to the friendship with Carlos Franqui, who was introduced to me by Wilfredo Lam. I was in Cuba, in 1967, in the middle of the cold war, I remember that there were cannons under my hotel. 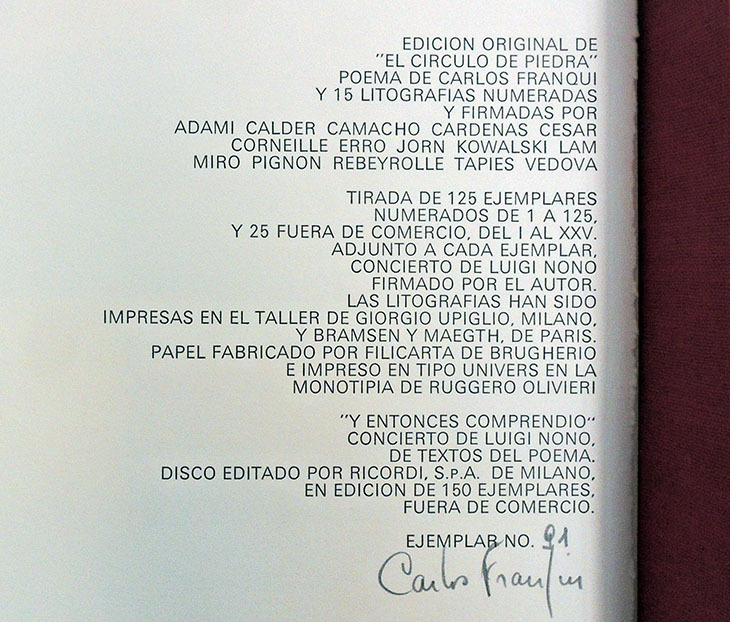 All of Carlos’s friends, including almost all the artists who would later create the ‘Circulo de piedra’ three years later, were in Havana in ’67 for the Salon de Mayo congress. 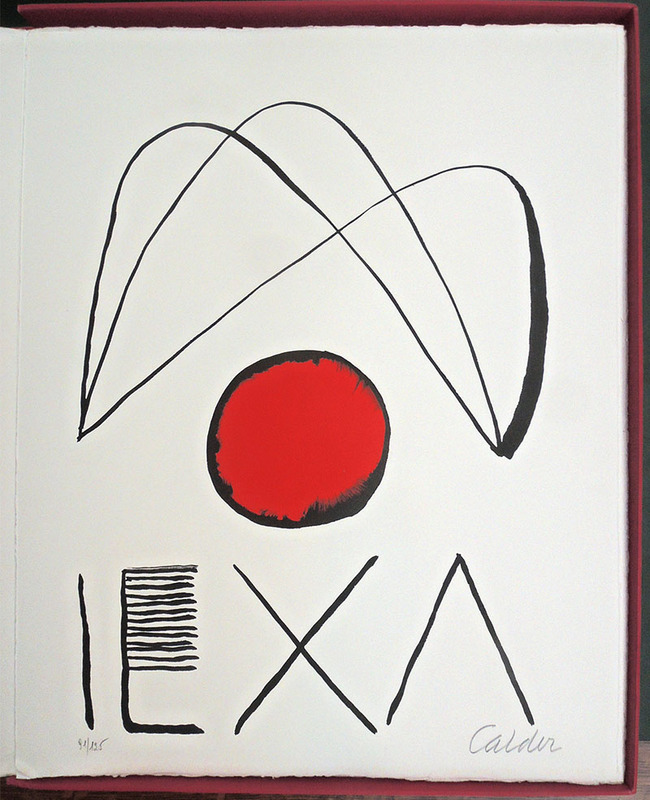 I remember Jorn, Lam, Cesar, Tapies, my wife Rita Gallè, Calder, Adami, the critic Guido Ballo. On that occasion I met Fidel Castro, to whom I gave a copy of my edition made with Lam Apostroph Apocalypse. Castro subsequently organized a graphic exhibition at the Casa de las Américas. 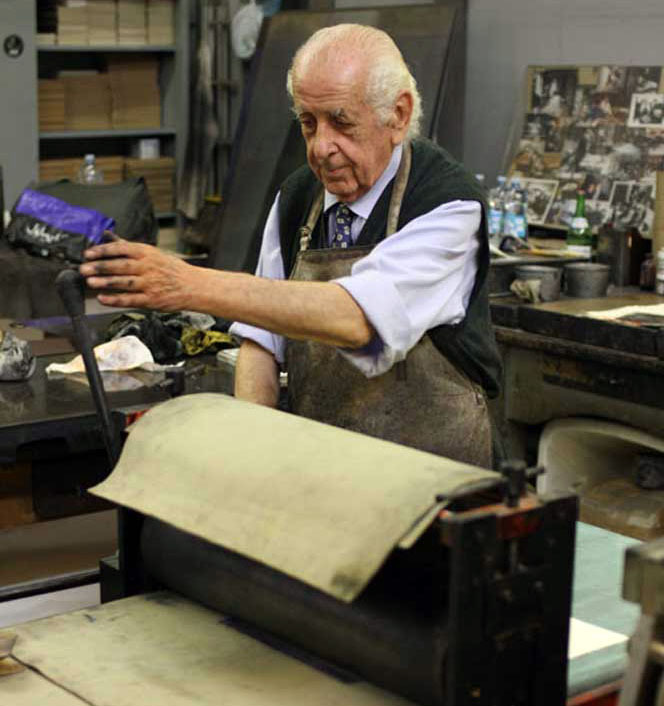 It was also born to support Carlos economically and that is why I left him a part of the edition. The portfolio is a project that–as you can imagine–has also cost a lot for the artists involved, but the enthusiasm for our work has led us to bear the costs of the edition and each of the 15 artists was left with a copy of the work, as a reminder of the common project. 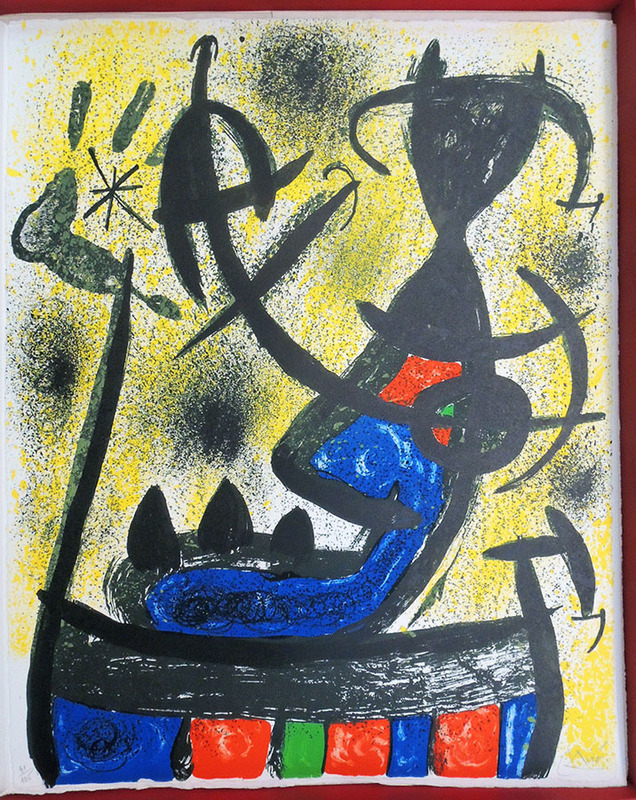 Mirò was printed by Maeght in Saint-Paul-de-Vence, Jorn by Bramsen in Paris, Calder I printed it, because he was in Milan for the exhibition at Studio Marconi; Vedova, Tapies, Adami, Lam and all the others were printed in Milan in Via Fara 9.
http://www.fafafineart.com/portfolio/el-circulo-de-piedra/. 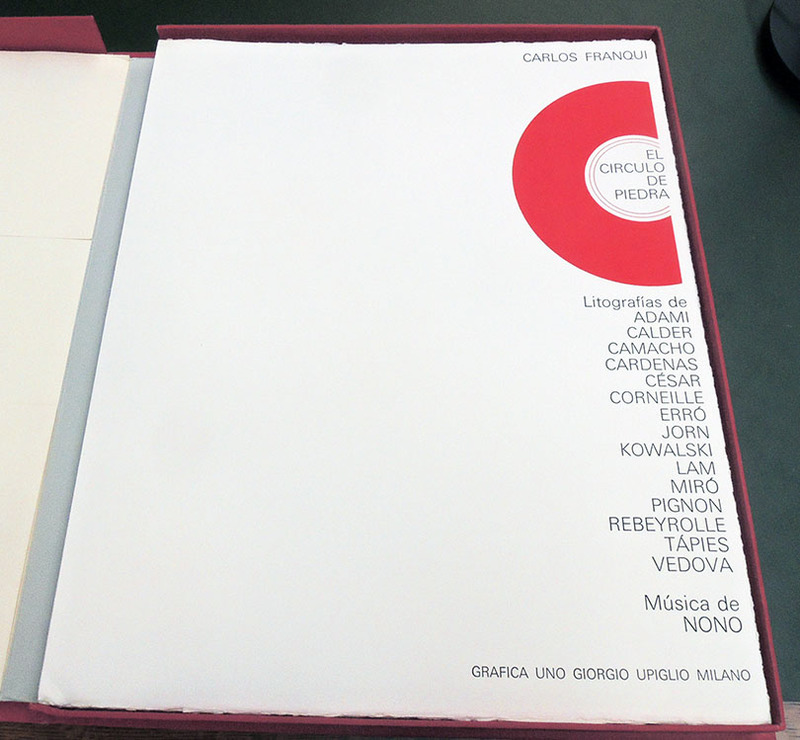 The work was presented on October 17th 1970 at the Marconi Studio and at the Piccola Scala in Milan with the concert by Luigi Nono Y entonces comprendò, of which each folder contains the disc published by Ricordi. This entry was posted in Acquisitions, prints and drawings on March 31, 2019 by Julie Mellby.